In the early and mid-1980s computer-generated imagery (CGI) was still in its infancy. While 1982 had seen it’s use in the classic Disney Science-Fiction hit, ‘Tron’, few other movie-makers had been tempted to experiment with the technique and it remained relatively unknown. Traditional model and miniature-based effects were the norm, even with big budget films like the ‘Return of the Jedi’ (1983). 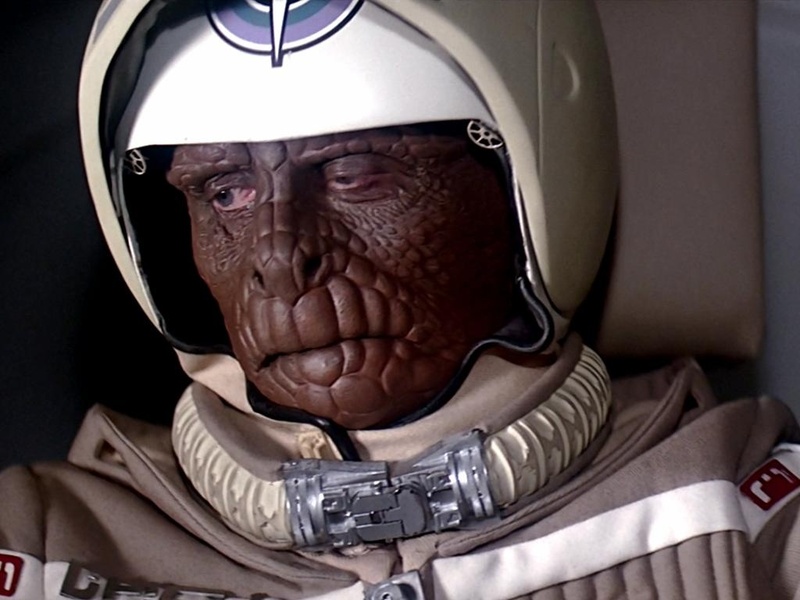 However in 1984 one movie changed all that: ‘The Last Starfighter’. The basic premise, or inspiration of the film, was simple enough – the growth and popularity of video-gaming across the United States and elsewhere in the 1980s. The central character, Alex Rogan (played by Lance Guest), is a teenager living in a rundown desert trailer park with his mother and brother. Working as the park’s live-in handyman most of his leisure time is taken up with playing a dusty video game arcade machine, the eponymous ‘Starfighter’, successfully advancing to the game’s top levels. Shortly after achieving his highest score he is approached by a stranger claiming to be the game’s inventor by the name of Centauri (played by the wonderful Robert Preston in one of his last roles) and invited to take a car journey with him. From there a series of incredible adventures follow, taking Alex into a real interstellar war, and changing his life. This storyline allowed the movie’s makers to fully utilize the up-and-coming CGI capabilities of the era. While looking somewhat primitive now, and often close to the computer games that inspired them, the effects still hold up, and have a charm all of their own. And while the film was driven, and advertised, on the basis of its incredible effects, the story itself was still satisfactory enough in terms of drama, humour and wry observations on life, to thoroughly appeal to the wish-fulfilment fantasies of its target audience (I know because back then I was one of them). Despite a mixed reaction from critics the movie was a modest success and remains popular to this day, and is frequently seen on television. So if you saw this old classic the first time around, don’t worry, unlike much else from the 1980s this one still works and will readily take you back in time – think ‘Goonies’ and you get the idea. A much improved digitally remastered version is now available on DVD and Blu-ray and should be at the top of your next cult shopping list. Enjoy.